Today, the amount of data exposed to organisations in the digital world is growing exponentially and at a rapidly increasing speed. In this era of constant high-speed data flow, traditional ways of working are no longer sustainable. With Intelligent Automation, leading organisations are transferring repetitive functional and cognitive processes to machines – solving complex business problems at a pace and power far beyond the capabilities of human beings. To automate means to enhance productivity, quality, predictability and agility while decreasing time-to-market – at a reduced cost to your business. But Intelligent Automation is a journey machines cannot make alone. Capgemini helps organisations navigate change to orchestrate new and innovative ways of working to drive business growth. Automation Drive: your business – reimagined. Automation Drive embraces the challenges and sources fresh opportunities that enable your organisation to embark on a new journey – rethinking and reimagining the way you do business. 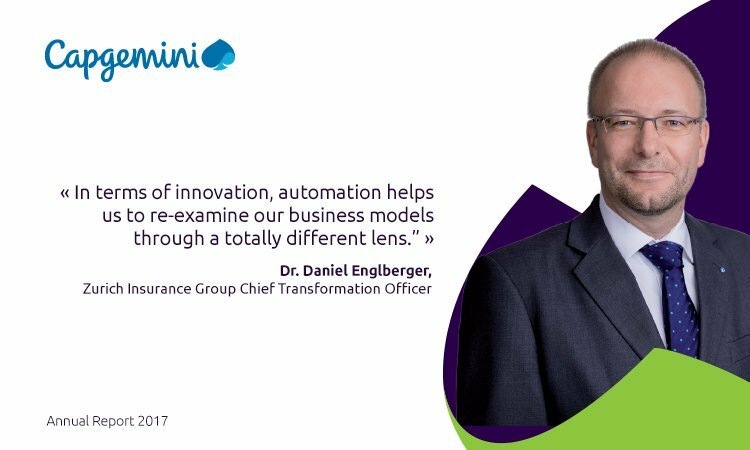 Capgemini’s Automation Drive brings a unified, open and dynamic suite of Intelligent Automation tools, services and expertise that serve your business as a continuously evolving source of innovation and value. Stay agile and competitive by combining leading-edge Capgemini automation tools together with best in class partner technology, and monitor the main trends in rapidly evolving automation technologies to assess and apply the right tool to the right purpose. 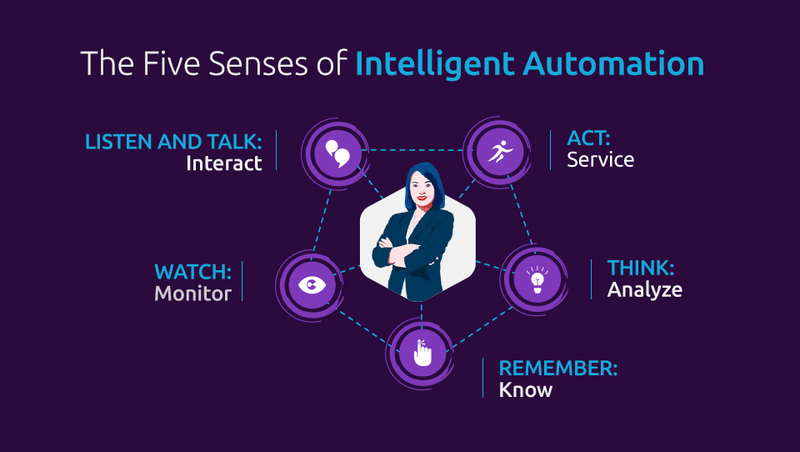 To further aid you in conceptualising just how rapidly and extensively you can transform your business through Intelligent Automation, we’ve crafted our unique Five Senses of Intelligent Automation methodology. This methodology forms the core of our Automation Drive Suite. Together, they showcase how the real “intelligence” within Intelligent Automation and Artificial Intelligence is less artificial and more natural than you think. THINK – Analyze: This is the ability to detect patterns and recognise trends. It applies algorithms to knowledge to determine the appropriate action or predict future consequences. Connect with our global network of experts to ensure your automation journey optimises your processes and adds substantial business value to your operations.